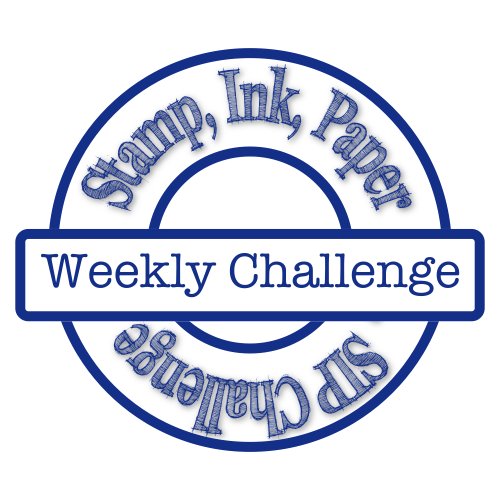 Welcome back for another week of Stamp, Ink, Paper! 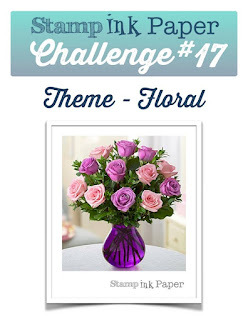 This week we have a beautiful challenge for all of you! The theme is a Floral!!! Before I get to my card let me tell you something! When it was 95 last Sunday and I posted wishing for sweater weather I didn't plan on the temp dropping out in the matter of 4-5 Days... But I did get to wear a sweater! Oh and a scarf! It just gets me ready for those cozy comfort meals like Chili, Chicken and Dumplings, and all those yummy soups! I really love this time of year! I know I have used this flower before! But I LOVE IT!!!! Pretty soon it will be all about Christmas! 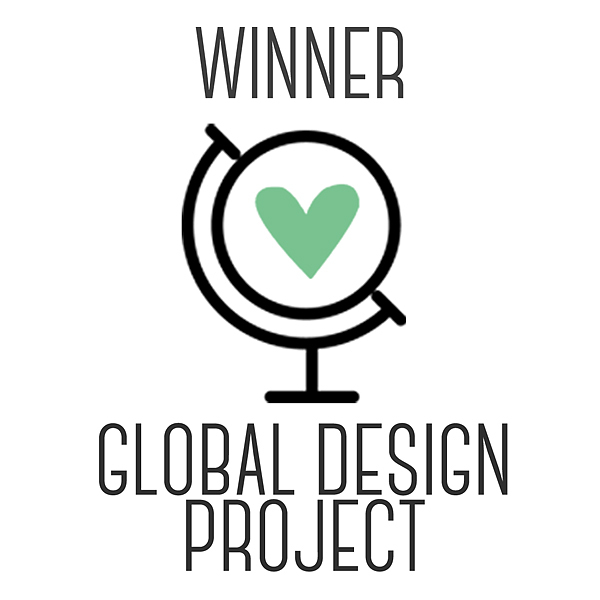 I really love the simplicity and elegance of this card! I hadn't really used my Wisteria Wonder in while so I decided to create the card base with Wisteria Wonder Card Stock. As you know I really like my layers. I did my next layer in Sahara Sand CS. 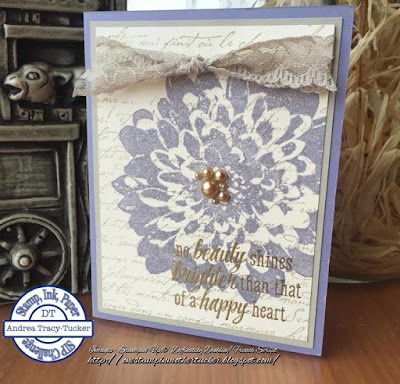 The Very Vanilla card stock was stamped using the "Vintage" Stampin' Up! background stamp French Script in Sahara Sand Ink. I then inked up my Definitely Dahlia with Wisteria Wonder ink and stamped it right over the French Script. I really think this would make stunning wedding invitations! The sentiment is from Unity Stamp Co May Sentiment Kit. This was stamped with Versamark first and then sprinkled with Gold Stampin' Emboss Powder then heat embossed. I finished this card with a lovely lace trim at the top and some random sized sand colored pearls! Thank You all for stopping in! 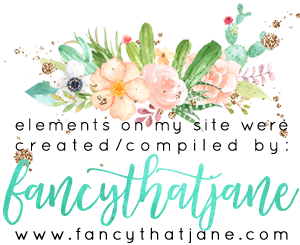 I'll be back on Thursday with some really cute Halloween goodies with all my friends on the OSAT Blog hop! Andrea I love how you layered the big bloom over the script background. Great sentiment, too.